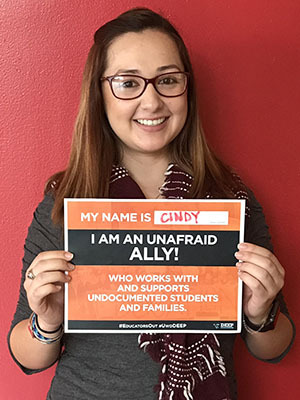 UndocuAlly training is designed for staff, faculty and students who work with and would like to be allies to undocumented students at Cal State East Bay. The training provides an overview of immigration history, federal and state laws and policies that impact students, financial services, and how to support undocumented students through their college journey. To obtain training, register for one of our events or contact UndocuAlly@csueastbay.edu. Find an Ally to find support and resources for undocumented Cal State East Bay students.